The brand worked with Saturday Morning to create a designated hub to keep the conversation alive. If you think about it, Spotify is the most perfect brand to springboard campaigns of social inclusion, culture and diversity—because these are the very core values it was built on. After all, no movement carries clout without true authenticity fueling it. That’s why Spotify’s ‘Black History Month is Happening Now’ deserves the attention it’s getting (Black History Month was actually back in February, btw). "It really all started with the idea that Spotify is a brand that stands for discovery—discovery of music, of culture, and of ourselves and each other," said Kerry Steib, director of social impact at Spotify. "And we genuinely believe that creativity and community will inspire a more empathetic world." The layered campaign features artists, creatives and organizations working to impart change for communities of color by telling stories and addressing topics that are important to them through video, podcasts and music curation. The work, which was created in partnership with creative collective Saturday Morning and Spotify’s Employee Resource Group, BLK@ and Color Of Change, the nation’s largest online racial justice organization, also offers a slew of programs supporting communities of color in the music industry. Spotify’s Sound Up Bootcamp will provide ten aspiring female podcasters of color with resources to develop their craft—a program taking place in June led by radio and podcast veterans Rekha Murthy and Graham Griffith. Spotify has even created an entry-level, fellowship position which will give a young person who is passionate about black history and culture the opportunity to join shows and the editorial team at Spotify. Steib said making a stand on society’s hot topics is "not a responsibility, but an opportunity." She stressed the importance of brands understanding their values to help amplify chosen causes. "You have to start with who the platform is at their core," she said. "Spotify is all about discovery and openness for everyone, and that’s really rooted in the artists who we support and the brands that we serve. For us, it’s incredibly important that we are really true to those values because those are the communities in which we work." Artist Janelle Monáe has taken the helm this month to tell the world about Black History Month through her eyes. You’ll be able to view her work on a hub specially designed for the campaign. 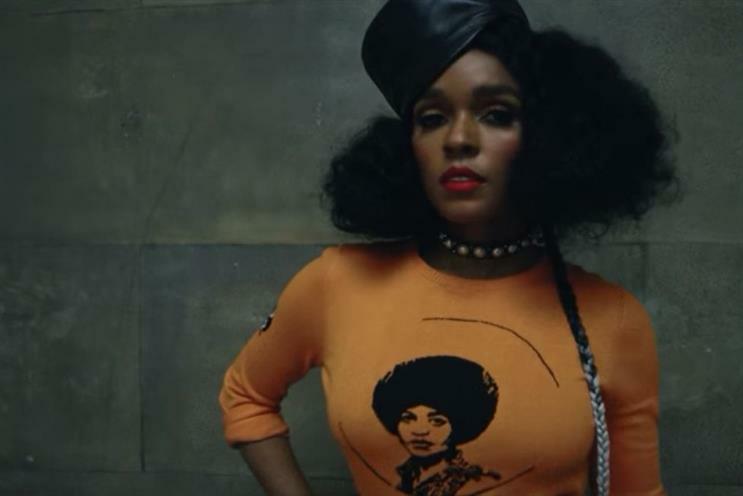 "I am thrilled to be teaming up with Spotify to help kick off an important new initiative celebrating black history and culture through ‘Black History is Happening Now’," said Janelle Monáe. "I’ve always been excited and inspired to try to redefine how we’re seen. It’s important to me to celebrate black history year round and with Spotify’s commitment to honoring the black community all year long and showcasing artists and organizations who are dedicated to imparting change. I felt it was the perfect platform to share my story of Afrofuturism and express my vision and creative ideas."